There are several ways to make calls with the Lifesize app. The first is to just click the big "Call" button from the home screen. Just follow the on-screen prompts to search your company directory and start the call. 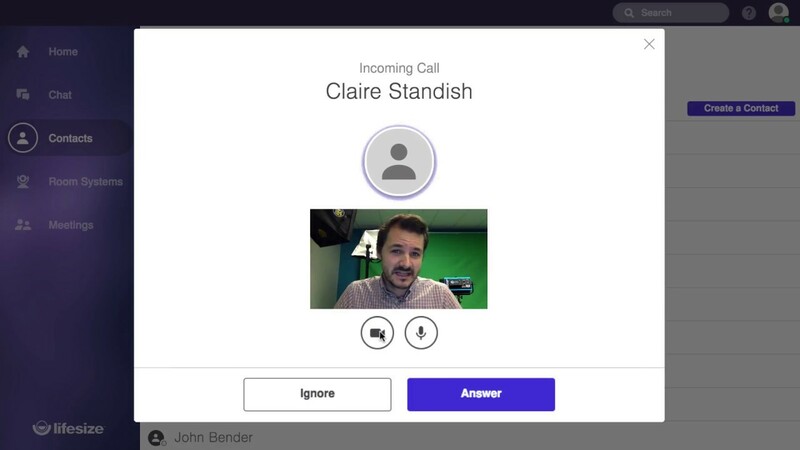 Lifesize gives you the option to start a call with your camera on or start a call with your camera off if you just want to make an audio call. You also have the ability to do a pre-call camera and audio check to make sure the right camera and microphone are enabled and selected. Whether you call with your camera on or off you can still share your screen either way. You can also make calls throughout the app by just hovering over a contact and clicking the call icon. This can be done in the recents, favorites, global search and directories tabs. Receiving a call is just as easy. Just click "Answer" whenever a call comes in.